Children under 16 are to be given free universal dental care as part of a new government initiative. The €80m plan will see almost the entire range of dental services extended to every child from birth to 16 years old. Under the scheme, parents will be able to bring children to the dentist for regular check-ups where fillings, extractions and any other dental surgery will be carried out free of charge. Prescriptions related to dental procedures will also be free and the services will be provided by local dentists. Health Minister Simon Harris will announce the five- year plan for comprehensive dental care for all children under 16 this week. The Department of Health has been working on the plan for a number of years and it was signed off on by the Cabinet two weeks ago. The scheme has not yet been negotiated with dentists but it is hoped universal dental care will be extended to every child under six in next year’s Budget. The Government will have to reach an agreement on fees with dentists who sign up to the initiative before it can make a budget announcement. Children are currently entitled to two dental examinations while they are in primary school, while some emergency treatments are also covered by the State. Their first examination is supposed to be when they are seven years old, with a final check-up in sixth class. However, the Irish Dental Association has previously warned that most children are not receiving their first examination until they are at least 12. The backlog in the system, which is being caused by staff shortages, has resulted in 84,000 children and adolescents waiting for a public dental assessment or treatment around the country. The Government has also struggled to extend the free GP care scheme for children, which is currently available only to those under six years old, despite promising to broaden the initiative out to under-12s. The new free dental care scheme is linked to the cross-party Slaintecare project. The plan will comprise a number of different oral health packages depending on the age of the recipient. The most comprehensive packages will be for children but there are also plans to extend the number of services provided to older people and those in residential care. People over 65 will be entitled to annual denture and dental implant check-ups as part of the scheme. However, it is unclear when this will be introduced. There will also be a focus on examinations for head and neck cancer for older people. The Government reintroduced dental benefits in the 2018 Budget. 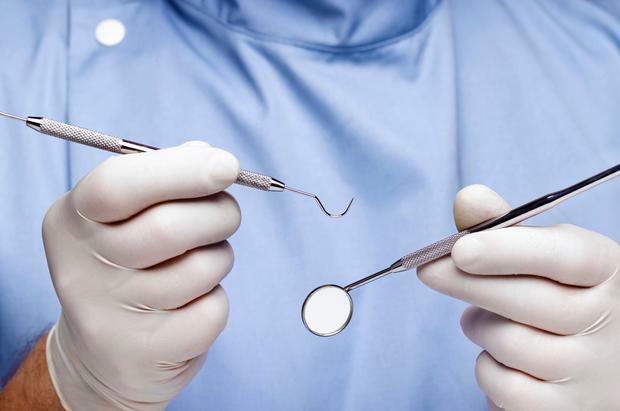 The State now pays €42 toward either a scale and polish or – if clinically necessary – periodontal treatment to PRSI workers or the self-employed once a year. If the cost of either cleaning or periodontal treatment is more than €42, patients must pay the balance – capped at €15 for a scale and polish. There is no cap on the balance charged for periodontal treatment.